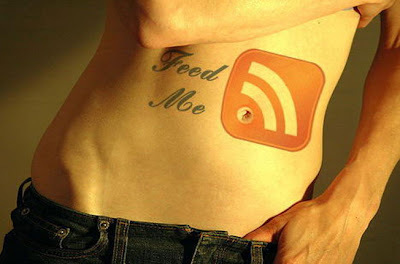 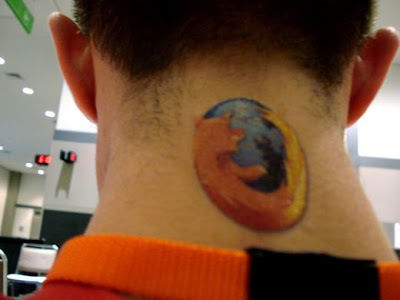 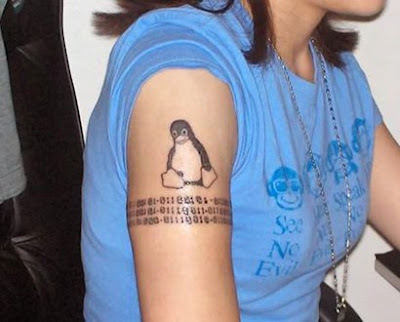 The list of some of the weird Geek Tattoos and wonderful Geek tattoos worn by dedicated technology fans containing photographs from tattoo artists around the world. 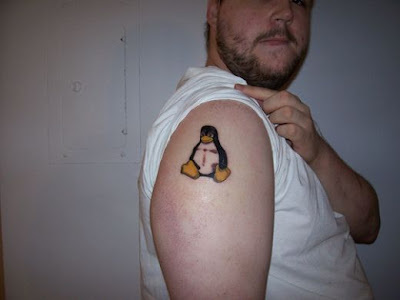 This gallery is Geek Tattoos. 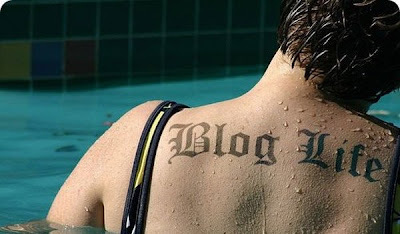 Also take a look at her profile in Myspace " The_kommodore ". 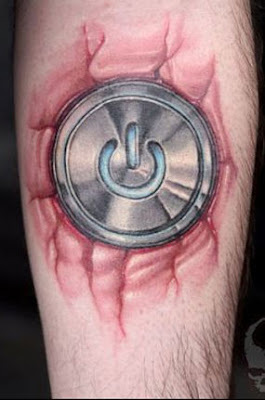 Power on ... it won't take long to turn this man on - he has the Macintosh power button tattooed on the inside of his left forearm. 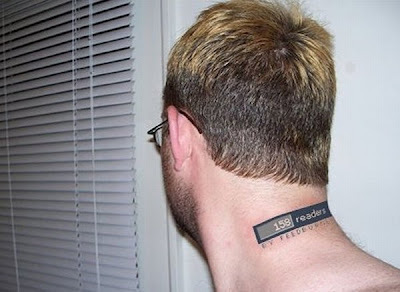 The owner said the tattoo took almost 12 hours to complete. 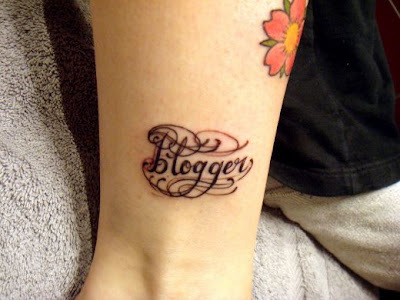 "It looks like it's shiny metal and embedded brutally in my left forearm," he said. 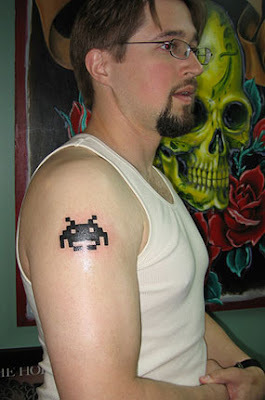 Out of this world... nothing says retro like a classic alien tattoo from Space Invaders. 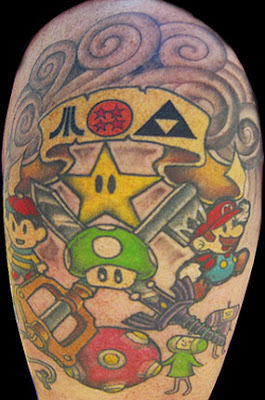 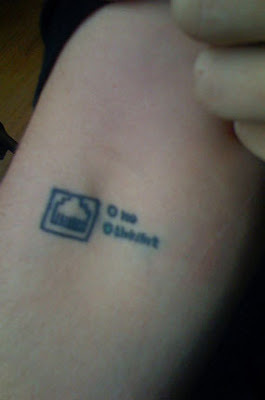 According to the owner, " Blackespot " his first geek tattoo had a lot of inpwhen choosing the tattoo. 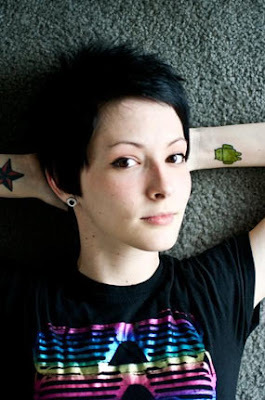 "It's not that I'm a huge Space Invaders fan per se, the icon just seems to well represent the three things I was going for: gaming, retro computing, and the 80s in general - a sort of crude petroglyph found on the walls of the cave of computing history." 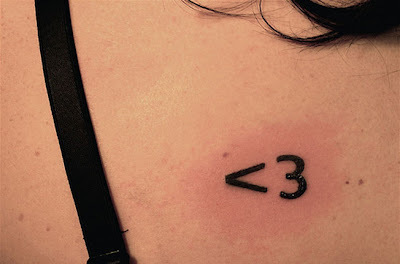 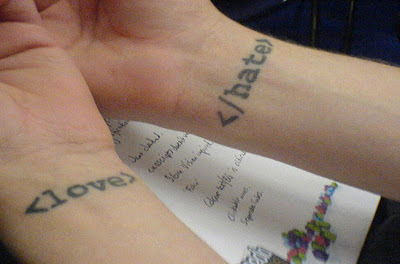 Love/Hate ... using HTML code as inspiration, this two-handed tattoo can be loosely translated as "begin love, end hate". 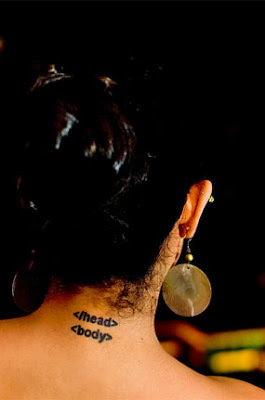 However, HTML-monkeys will note that this code would be invalid. 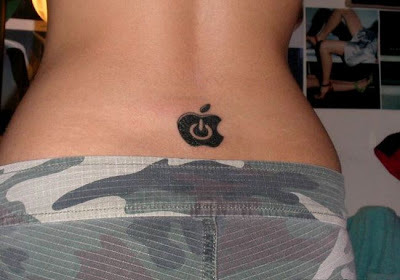 An apple a day ... Powerbooktrance takes brand seduction to a new level with this Mac love tattoo Apple logo. 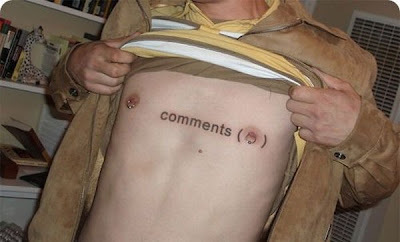 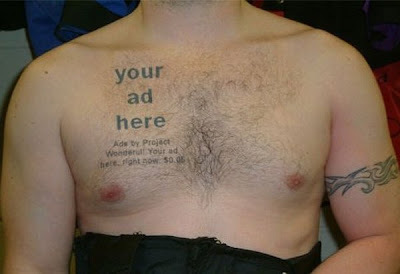 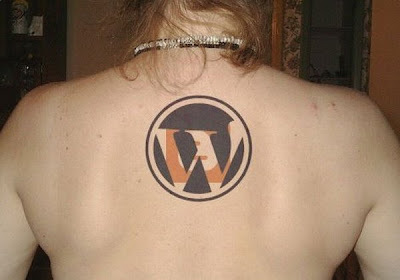 "For those other graphic designers the size of the tattoo is Times New Roman at 115 point type," he said. 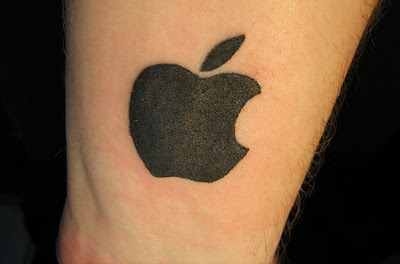 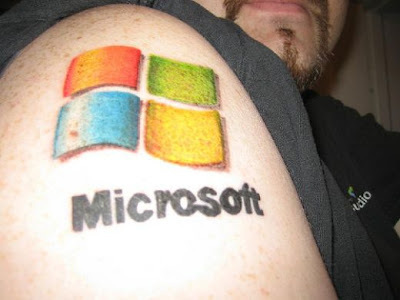 Mac Maniac ... it seems this avid Mac user will not be switching to Microsoft Windows anytime, if this Apple-themed tattoo is anything to go by. 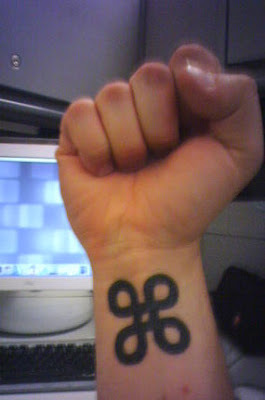 It's a small symbol taken from the Command key on a Macintosh keyboard. 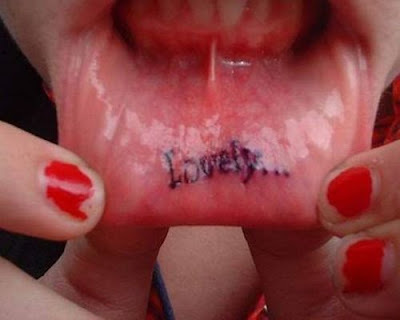 Appreciation .. A Girl encoded her appreciation in her mouth..
gangsta tattoos..... man datz awesome!!!!! 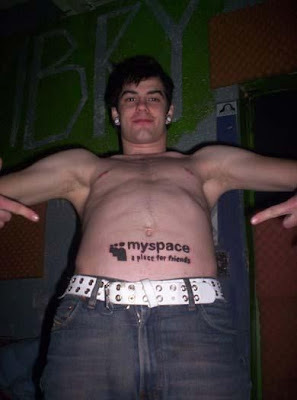 "Mac Maniac" - tattoo is hundreds and hundreds years old prechristian sign from scandinavia (Finland). 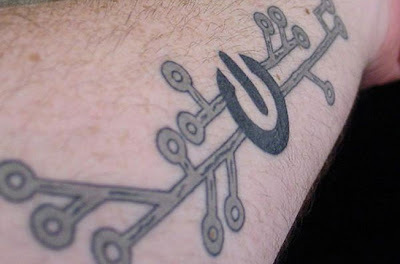 It's lucky that it means "good luck". 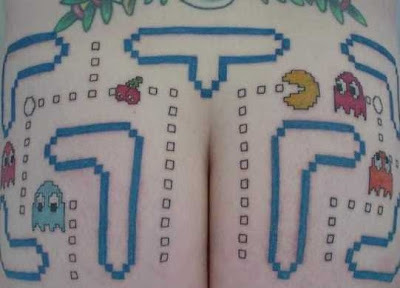 So many geeky and cool tattoos. 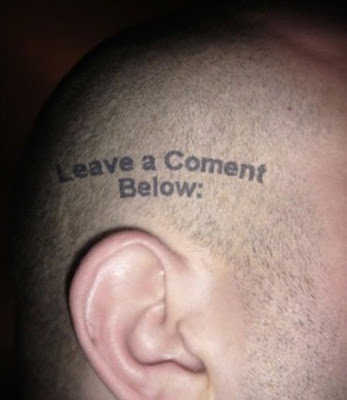 But lots of them are photoshop fake, you can easily see.